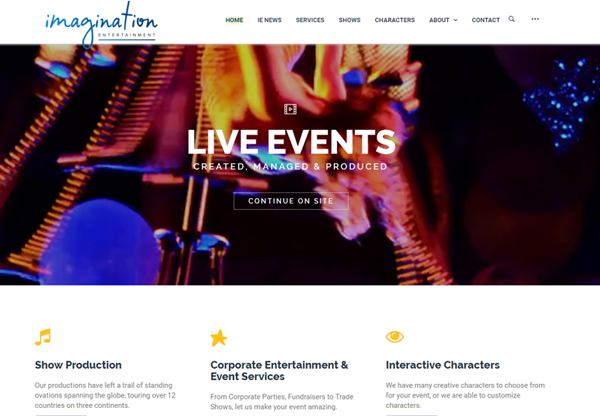 Imagination Entertainment came to us with a Drupal site years ago. After years of maintaining and growing their website, we decided it was it was finally time to redo the website with WordPress. The WordPress format is more user-friendly for them to update their shows and photo galleries, and they love the new dynamic video display on homepage.